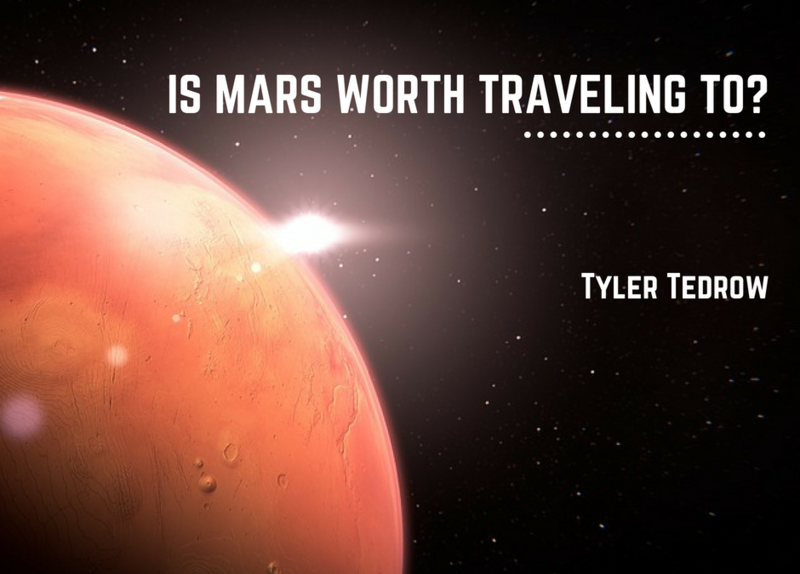 Is Mars Worth Traveling To? As Earth’s neighbor, Mars has been discussed and scrutinized in more detail than most planets. It has also captured imaginations; alien invasions, futuristic colonies, and the misadventures of Matt Damon have all been based on the red planet. Indeed, there have been plenty of scientific expeditions aimed at studying Mars. The Mars rovers, such as Spirit and Curiosity, have done much to improve our understanding of the workings of the planet. Recent questions have been raised among Martian projects as to when bringing samples back to Earth would be feasible. Other ventures have set out to put humans on the surface of Mars. These expeditions, organized by NASA and wealthy businessmen such as Elon Musk, would aim to assess Mars for potential colonization, resources, or scientific value. However, even as the feasibility of the subject is hotly debated, some scientists believe that focusing on Mars is a poor use of resources in the coming years. NASA, in particular, has floated the idea of Mars missions, though ultimately, nothing has come of them. For NASA, the focus has remained on Earth’s moon, which is immediately beneficial and far less costly to travel to. Additionally, examining NASA’s budget reveals that the financial scope necessary to travel to Mars simply does not exist at this time. It’s disappointing, particularly for those that feel as if a Mars mission will eventually be necessary to ensure the survival of the human race. However, the benefits of such a mission are not entirely clear. While the rover missions provide scientific information for its own sake, a colony on Mars may very well be a sink for resources that both governments and private companies are unable to afford. For certain, establishing a Martian colony would not be a political factor for reelection, especially given American term limits. Any effort to reach the red planet would take decades of planning and execution. Elon Musk and SpaceX, on the other hand, seem to have no such compunctions. Musk has focused on the long-term benefits of Mars expeditions, believing the planet to be a possible way of ensuring human survival in the event of a cataclysm on Earth. SpaceX’s Big Falcon Rocket is designed as a possible method to reach Mars, though, like any other project, Musk will need to commit a lot of resources to make his goal attainable. Other experts, such as Vanderbilt astronomy professor David Weintraub, are concerned about the outcome of a Martian expedition for a slightly different reason. The question of whether there is life on Mars has been the subject of much debate and a notable prog-rock song. Weintraub argues that, even if life is incredibly basic or primitive, it should be examined from afar before it has the potential to be disrupted by human activities on the planet. He is not against the idea of a manned Mars mission but urges caution and further research before setting foot on the planet. In fact, he predicts that humans will reach Mars by the end of the century. For many, it seems that a trip to Mars is a matter of when not if. However, there are many questions that must be answered before we go and logistical issues that may hamper progress. Even so, as technology marches on and spacefaring becomes more feasible, it seems that the adventurous spirit of many will assure a future that involves Mars. Asteroid Mining: How Does it Work?